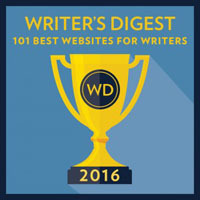 Tip Tuesday is a recurring feature where readers send in tips for fellow writers. If you'd like to share a tip, please do so. Today's tip was sent in by Thermocline, and it's another great one. Very helpful. Enjoy! TheFreeDictionary.com is a great dictionary/thesaurus site because they provide references in classic literature of whatever word you're looking up. I really like being able to see the words in context. There are times, however, when I've wanted to check a whole phrase to be sure I am using it correctly. This week's Agent Spotlight features Louise Fury of The Bent Agency. Status: CLOSED to submissions as of 1/2014. For the most current info on what Ms. Fury is looking for always check this page on her website and the sidebar of her bio page on the agency site. Memoir, Poetry, Textbook/Academic books, Self-Help/How-to, Reference, Westerns, Serious nonfiction, Screenplays, Short story collections (Link). Ms. Fury’s client include: Lindsay Cummings, Hunter Shea, Christine & Ethan Rose, Cindy Nord, Fabio, Hope Tarr, Katrina Snow, Kwana Jackson, Lynn Dickinson, Megan Frampton, O.M. Grey, Tracey Engelbrecht, W.D. Gagliani & David Benton. 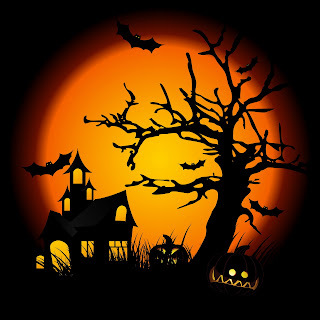 Check out the “Recent Deals” page at Ms. Fury’s blog. NOTE: Ms. Fury is currently CLOSED to submissions. Query only if your manuscript falls under Ms. Fury's interests, is complete, well-written and ready to be seen by an editor. Send a query letter including a brief synopsis, your bio, and the first five pages in the body of the e-mail. No attachments. Please see the The Bent Agency website and Ms. Fury’s blog for complete, up-to-date submission guidelines. Ms. Fury keeps her response times listed on the sidebar of her blog. The agency has a stated response time (or goal, rather) of responding to queries within a month. If you do not receive a response within the time posted on Ms. Fury’s blog, resend your query and indicate you are resending. Louise Fury is a popular conference goer and is respected for her response times and the feedback she includes with many rejections. Her clients seem happy with her representation. 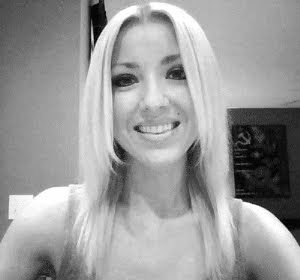 I recommend following her on twitter and subscribing to her blog for up-to-date information on what she's looking for. Agent Louise Fury – L. Perkins Agency at Writing and Illustrating (04/2013). Welcome Wednesday: Agent Louise Fury of the L. Perkins Agency at Honestly YA (04/2012). 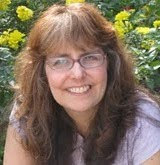 Interview with Literary Agent Louise Fury at Stacey O’Neal’s site (02/2012). On Agents – A Discussion with Louise Fury at Nerine Dorman’s site (11/2011). Interview with Louise Fury at Bitten by Books (04/2011). 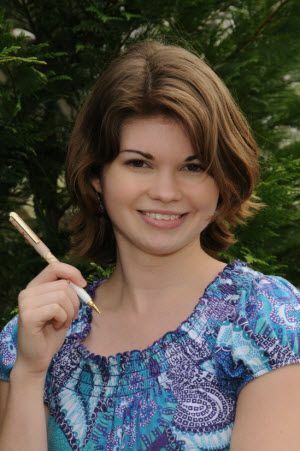 Agent Advice: Louise Fury of L. Perkins Associates at the Guide to Literary Agents blog (08/2010). Q&A with Agent Louise Fury at RWANYC Blogging in the Big Apple (07/2010). The Bent Agency at P&E. Read through the archives of her blog where she posts query advice, client news, and updates on what she’s looking for. Books on a Plane, guest post by Louise Fury at Borders True Romance (02/2010). Client Lindsay Cummings success story at DFW Writer’s Conference (4/2012). Please see the Bent Agency website and Ms. Fury's blog for additional contact and query information. Last Reviewed By Agent? 10/22/10. Hello everyone! Sara has rewritten her query based on your fabulous comments. Please give the rewrite a look and offer any further advice or constructive criticism you may have. If you're interested in having a query, synopsis, or excerpt posted on Lit Rambles for critique, check out my contribute page. Nineteen year-old Gabriel awakens in a bright room. Only moments ago he was trapped in a haunted forest. Or so he thinks. Two people in long, white coats unstrap him from a reclined chair. They tell him that he volunteered at the White Horizon Research Facility for a classified psychological study two weeks ago. The reality that he had known before was only a product of radiation, electrodes, and drugs. He is not supposed to remember who he is or what he has done. The experiment is a failure. His memory of the real world returns along with the angry voices that have plagued him for five years. He knows what they want with him. He is a murderer. One of the other volunteers - Gabriel`s cousin, Adeline - suddenly goes crazy and escapes the facility in a violent rage. Gabriel and two of the other particpants overhear the doctors debating on whether or not to euthanize the rest of them. Gabriel, Julia, and Caleb barely escape. To make matters worse, Adeline will not rest until she kills all three of them. Wherever they go, she finds them. Gabriel will have to find a way to keep himself - and his new friends - alive without reverting back to murderous ways. Possessed is a young adult supernatural thriller with a final word count of 56,000 words. This week's Agent Spotlight features Elena Giovinazzo (formerly Mechlin) of Pippin Properties, Inc.
Children’s picture books, middle grade, and young adult. Ms. Giovinazzo’s clients include: Katherine Applegate, Harry Bliss, Rob Dunlavey, Beth Ferry, Jason Reynolds, Christina Soontornvat, Beckie Weinheimer, Christi J. Whitney, among others. Elena Giovinazzo joined Pippin Properties in 2009 and was promoted to full agent February 2013. Prior to joining Pippin, Elena worked at Simon & Shuster and Random House in subsidiary rights and marketing. Pippin is highly respected and specializes in children’s and teen literature. I recommend following Ms. Giovinazzo on Twitter @ElenaMechlin for further insight and client news. 7 Questions For: Literary Agent Elena (Mechlin) Giovinazzo at Middle Grade Ninja (02/2013). Literary Agent Interview: Elena (Mechlin) Giovinazzo of Pippin Properties, Inc. at Guide to Literary Agents (11/2012). Interview: Holly McGhee and Elena (Mechlin) Giovinazzo of Pippin Properties Literary Agency at Writer Unboxed (10/2012). Hunger Mountain Interview: New Faces at Pippin Properties (06/2011). Q and A with Agent Elena (Mechlin) Giovinazzo at Scribe (03/2011). Live Chat with Elena (Mechlin) Giovinazzo, Joan Slattery, and Holly McGhee from Pippin! at WriteOnCon (01/2011). Pippin Properties thread on AbsoluteWrite. How to Write a Winning Query, Ms. Giovinazzo's query tips from the Rocky Mountain SCBWI fall conference at Write Up My Life (10/2010). Some brief conference notes from the Lines and Letters Conference on Elena (Mechlin) Giovinazzo at Lightbulb Books (09/2010). I know you're all familiar with NIGHTSHADE CITY author Hilary Wagner. How can you not be? She's such a joyful person, has a great blog, and word about her fabulous debut is spreading fast. I've known Hilary for over a year and I've been waiting the entire time to interview her as a published author. Finally, I have! Hi Hilary! I’m so excited to interview you. Thank you so much for taking the time! Can you tell us a little about yourself and your middle grade debut Nightshade City? Here is the summary from my publisher and there is a lot more on the official site. From Holiday House, "This enthralling animal fantasy, in the classic tradition of Redwall and Watership Down, encompasses timeless themes of honor and loyalty, family ties and lost love, alliances and betrayals. Readers will respond enthusiastically to this surefire page-turner, by a talented new novelist, set in a brilliantly imagined world filled with easy-to-root-for heroes and villains they'll love to hate." I have to tell you (again), I absolutely adored Nightshade City and I’m pretty picky about middle grade. What was the evolution of the novel? How did you end up writing about rats? You’re represented by the lovely Marietta Zacker of Nancy Gallt Literary. What’s the skinny on how you got your agent? I seem to recall you had quite a few rejections before that one Yes. Errr...yes! 175 to be accurate. I received a lot of partial and full requests, but all resulted in the same answers, "The market's not right now," or "Too much competition", etc. In the end, it all worked out. My original agent, Craig Virden, Nancy Gallt's husband, called me back a month after rejecting me. He said he couldn't stop thinking about the book and wanted to rep me despite the market woes or the competition. It was crazy, because he was the agent I'd wanted all along--THE ONE! He passed suddenly in May of 2009. It was a blow to everyone in the industry. He was a very special man. At that time, Marietta had recently joined the agency and stepped in as my agent. Lightning does strike twice--she's amazing! Is there anything you've learned or experienced during the publishing process that's surprised you? I was very nervous about working with an editor. I didn't know what to except! Was Julie Amper going to tear my rats to shreds? Was I going to be able to do the edits to her liking? Was she going to be nice? Well, Julie couldn't have been nicer or cooler to work with. She was supportive throughout the entire process and told me I didn't have to change every single thing. She said her comments were suggestions not demands, which I thought was pretty cool, though I DID change everything she asked for! She's the editing expert after all! What was your reaction when you first saw (or heard) your blurb by author Rick Riordan? Had you read his books? My agent was in NYC, walking down a crowded sidewalk when she called me. She said I have something to read to you and just started reading me the full quote over the phone. I nearly fell off my chair! I was actually in my office and my boss could hear me screaming through the walls! Luckily, he was happy for me! ;) I'd read The Lightning Thief and have since read others. I just finished Red Pyramid, which was awesome! If we are ever in the same place at the same time I may rush him like a rock star groupie and give him a huge hug, though he might think I was pretty weird after that! I love your blog and the websites you create for your books. The book trailer you made for Nightshade City is fantastic, too! How has the marketing and promotion side of publication been for you so far? It's been great! For a debut author, my goal was to get myself out there and meet people, both on-line and at SCBWI meetings, etc. Who is going to care about my book if they don't know who I am? Marketing is tough, as far as balancing your time. You want to get the word out, but you want to sleep sometimes too and of course you don't want to be promoting your book too much. You want to talk about your book, but you also should get to know the people around you. I've met so many great writers and readers, people I call friends, just from reaching out on my own. You’re a full-time author (and mother!). What’s an average work day like for you? How do you stay on task and motivated? Don't forget the full-time job too! Staying on task is tricky sometimes, but luckily my husband is very supportive and a great dad, who has no problem being "Mr. Mom" when he knows I'm on a writing role. I write a lot at night and/or super early in the morning, sometimes getting up as early as 4:30am. Sounds crazy, but I'd rather be dog-tired than unable to write! Gosh, that's always a tough question. I think, as writers, we must trust our own instincts. If you're in a writing group and don't agree with the changes others suggest, than by all means stick with what works for you. We all have our own singular voice--don't lose yours--ever. One of your main villains, Billycan, is a fabulous example of an antagonist with well-developed motivations. There’s something almost (almost!) likable about him. Do you have any advice for others in creating compelling villains? Don't get me started on villains! They are my favorite! Whenever I become attached to a villain, it's usually because I know the reasons why they're a villain. They just weren't born bad. There's much more to it than that. I think the best villains are almost more complex than the good guys. You must be working on something new. Can you divulge anything about your current work(s)-in-progress? No, I can't! It's under lock and key per my publisher. It is another animal fantasy, not quite sure yet if it will be stand alone or a series. It's a story that's been bouncing around in my head for a year now. When I had lunch with Mary Cash, the Editor in Chief of Holiday House, back in April and told her about it, she told me to keep quiet and get writing, so that's what I'm doing! The official Nightshade City website, www.nightshadecity.com and of course my blog, www.hilarywagner.blogspot.com. Hmmm...If you could change one thing about your publication path what would it be? Such great answers! Thank you so much for the interview, Hilary. I wish you the very best success with your writing career! A SIGNED copy of WE HEAR THE DEAD by author Dianne Salerni. A 'PIMP MY SCENE' critique by Stephen M. Giles, author of THE ADVENTURES. SWAG from New York Times Bestselling Author Kiersten White, author of Paranormalcy. 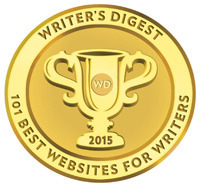 FIRST FIVE PAGE critique by Terry Lynn Johnson, author of DOGSLED DREAMS. FIRST CHAPTER critique by Susan Kaye Quinn, author of LIFE, LIBERTY, and PURSUIT. A QUERY critique by the author of ACROSS THE UNIVERSE, Beth Revis. A FIRST FIVE PAGE critique by Helen Ellis, author of THE TURNING: What Curiosity Kills. Next, the lovely Caroline Starr Rose e-mailed to let me know that the Class of 2k11 will be launching a monthly e-newsletter for booksellers, librarians, and teachers, etc. in November. They'll be featuring their books and offering opportunities for subscribers to win free copies. If you're interested, head over to the Class of 2K11 site to learn more and sign up! I've also been meaning to plug Martina and Marisa over at Adventures in Children's Publishing. Their blog has grown into a fabulous resource for children's writers. 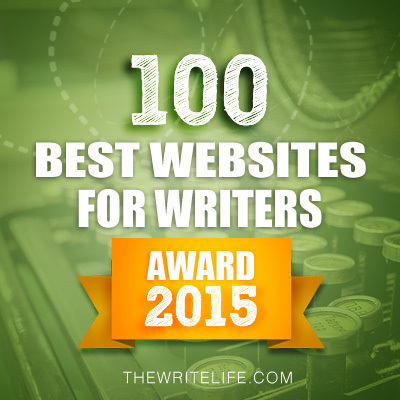 I'm particularly fond of their Friday "Best Articles This Week for Writers" posts. They're extremely comprehensive and, well, amazing. 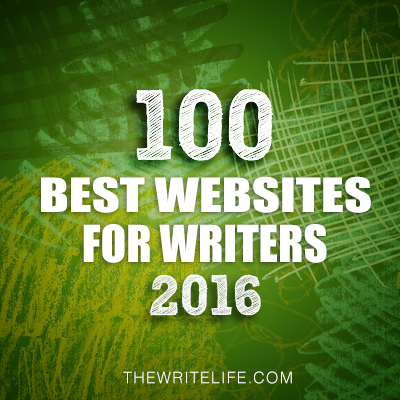 If you find it hard to follow a ton of blogs, scan through this list each Friday for the best of each week. What have you all been up to? 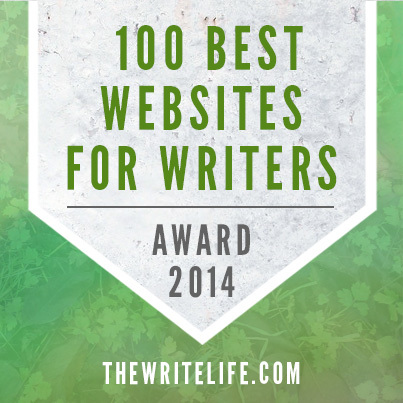 Any blog posts or contests you want to plug? Make sure you stop back by on Wednesday. 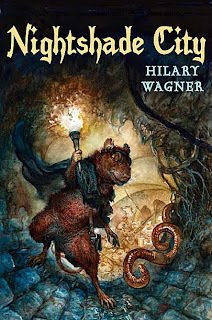 I'll be posting an interview with NIGHTSHADE CITY author Hilary Wagner. Have a great Monday and thank you so much for all the Birthday wishes on Facebook, here, and Twitter! Today's tip was contributed by the lovely Beth Pollock who I interviewed earlier this year. In addition to her website, Beth now has a blog! Check it out and consider following. Here's a tip that will help anyone writing about characters between the ages of four and fourteen. A couple of years ago, I was struggling with how one of my characters should behave. I googled "eight year old development" and found a website that sells a set of pamphlets about children's behavior by age. Although it's intended for teachers, I ordered a sample set and found it really useful. For each age level, they give a quick overview, then elaborate by social, physical and cognitive characteristics. For example, my eight-year old probably loves group activities and cooperative work (social), may experience a growth spurt (physical) and is industrious, impatient and full of ideas (cognitive). This really helped me write about Clara in The Next Step (growth spurt and all!). Of course, not every eight-year-old behaves in the same way, but knowing what the average child is doing can also help you understand when a child is an exception to the norm, and how that might affect him or her. You can order these Child Development pamphlets, or the book that they're taken from (Yardsticks: Children in the Classroom), at www.responsiveclassroom.org/bookstore. A sample set of 9 pamphlets, from kindergarten to grade eight, is only $12. Hope your other readers find them as useful as I did! What a great tip! It sounds like these pamphlets are a great resource, Beth, particularly if you write across several age categories. Thanks so much for letting us know about them!